How Neat Scanner is used? Let’s start with Neat Scanner and the different ways to capture a soft copy of your hard copy? 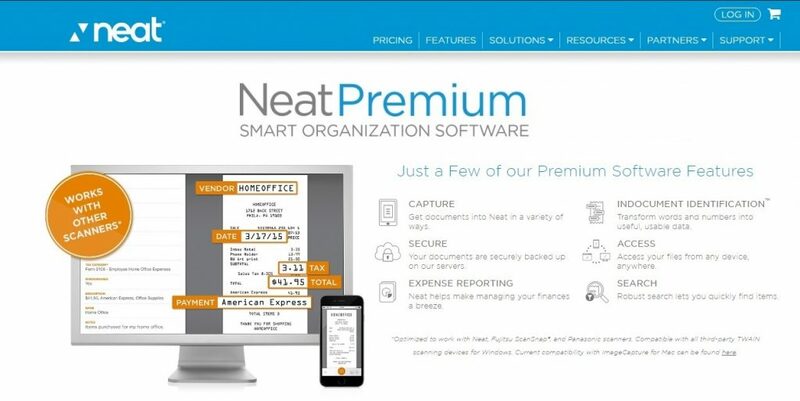 Worthwhile to mention is, Neat has got its own scanner hardware. Neat Desk, as the name mentions it, should find a placed on your desk, it’s a big one. This Neat scanner is a sheet-fed scanner and imports your supermarket receipts, nicely printed A4 invoices into your Neat Software in a blink. Furthermore, it offers a business card scanner, to grow your Outlook contact list. You got your own scanner, fine, Neat supports a variety of different brands. In case you travel a lot, the portable neat scanner nm 1000 might be a good choice. In case that thing is still too big, good news for you, just use your neat mobile scanner app. Importing soft copies to Neat is as easy as pie, upload them or forward them to your neat-email address. Are you living in the USA or Canada? Good for you, then Neat is a good money management app to keep you on track with your expenses and prepare yourself for your annual tax audit. To make your life easier, the Neat software supports accounting applications as such as QuickBooks, sage, TurboTax and Quicken. What is missing is the integration of your bank account, so you’d better compare the expenses reports manually with your bank statements. Another nice feature is the integration of contact details to MailChimp Campaign Monitor, Constant Contact, Google and Outlook, combined with the business card scanner you limit your data entry to a minimum. With your Neat app, you can easily import expense records, share your data with others by inviting them to collaborate with you and organize your data within the neat desktop as you like. Premium, for two. Two users and only QuickBooks is missing. Not to worry you can buy the integration extra. To round it up this plan costs you $14.99/mon plus $4.99/mon for QuickBooks. Gets a bit cheaper if you pay annually. Premium plan and Business plan include credits for human data verification. In case you have more receipts to check neat offers two additional packages to each plan.